And like on a real battlefield, if you don't know where to step you can get in deep trouble. But what most investors completely miss about small cap stocks is that while not all small cap stocks will be profitable, that is certainly no reason to avoid them! Even if 3 out of every 5 small caps manage to endure the market uncertainties and turn multi-baggers, it is well worth it. But what can one do to make these odds work in our favour? And that is precisely what I help the subscribers of my small cap recommendation service Hidden Treasure do. Hidden Treasure has been doing it for over a decade now - and with phenomenal results. If you'd followed its recommendations, you could have made phenomenal gains like 139% in 7 months... or 250% in 2 years... or 288% in 2 years and 5 months. These are crazy returns - but like I said, only the few that know their way can discover the rich rewards that await on the other side. We're pretty much ruthless when it comes to identifying the most profitable stocks. We've created standard processes that my team and I follow religiously for every company which comes under our radar. Often ten ideas are rejected before one is finalized. Right from analyzing the financial reports to in-depth sectoral studies. Checking the competitive advantage to promoter record. Most importantly, meeting the top management to get a closer look into the company and verifying their claims. There is a standard process followed for every company which gets shortlisted. Only then do we decide to let subscribers in. This is not possible while sitting in an office doing stock research. No stock is recommended without meeting and regularly interacting with management in what I like to call 'boots-on-the-ground' research. And unlike most others in the financial industry, there is no pressure to come up with buy recommendations every time (and trust us, this is a real killer of results). No one directs the 'view' on my service's stocks. Complete independence. Never stuck at a desk. This is what lets us always do what it takes to pinpoint the small cap stocks that deliver the juiciest returns. I must tell you that as I write this, the BSE Smallcap index is still trading more than 25% down from its highs in January 2018. As a result of this, I have over 20 fundamentally strong small cap stocks in the 'Buy' position to choose from. Something that doesn't happen very often. If you are looking to spot high potential small cap stocks, remember that with the right homework and a thorough research process, you can ensure that the overall odds are in your favour. This is what will help you safely navigate the minefield of small stocks and make the big profits you're looking for. PS: Market conditions for small caps are brilliant right now. 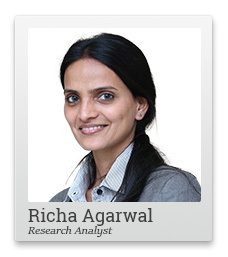 Don't miss the boat - get Richa's over 20 small cap recommendations by joining here. Equitymaster requests your view! Post a comment on "You Can't Make Small Cap Profits Sitting at a Desk". Click here!